Molton Brown Body Wash, Black Peppercorn, 10 fl. oz. Molton Brown Hand Wash, Rockrose & Pine, 10 fl. oz. 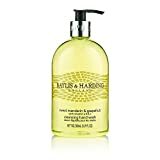 Molton Brown Nourishing Body Lotion, Coco & Sandalwood, 10 fl. oz. time treat, this body lotion is intensively moisturizing with a lovely scent. Molton Brown Enriching Hand Lotion, Rockrose & Pine, 10 fl. oz. 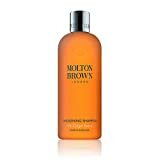 Molton Brown Cloudberry Nurturing Shampoo, 10 fl. oz.